For the narrower field of "comparative philology", see comparative linguistics. Philology is the study of language in oral and written historical sources; it is the intersection between textual criticism, literary criticism, history, and linguistics. Philology is more commonly defined as the study of literary texts as well as oral and written records, the establishment of their authenticity and their original form, and the determination of their meaning. A person who pursues this kind of study is known as a philologist. In older usage, especially British, philology is more general, covering comparative and historical linguistics. Classical philology studies classical languages. Classical philology principally originated from the Library of Pergamum and the Library of Alexandria around the fourth century BCE, continued by Greeks and Romans throughout the Roman/Byzantine Empire. It was preserved and promoted during the Islamic Golden Age, and eventually resumed by European scholars of the Renaissance, where it was soon joined by philologies of other non-Asian (European) (Germanic, Celtic), Eurasian (Slavistics, etc.) and Asian (Arabic, Persian, Sanskrit, Chinese, etc.) languages. Indo-European studies involves the comparative philology of all Indo-European languages. Philology, with its focus on historical development (diachronic analysis), is contrasted with linguistics due to Ferdinand de Saussure's insistence on the importance of synchronic analysis. The contrast continued with the emergence of structuralism and Chomskyan linguistics alongside its emphasis on syntax. Look up philology in Wiktionary, the free dictionary. The term "philology" is derived from the Greek φιλολογία (philología), from the terms φίλος (phílos) "love, affection, loved, beloved, dear, friend" and λόγος (lógos) "word, articulation, reason", describing a love of learning, of literature, as well as of argument and reasoning, reflecting the range of activities included under the notion of λόγος. The term changed little with the Latin philologia, and later entered the English language in the 16th century, from the Middle French philologie, in the sense of "love of literature". The adjective φιλόλογος (philólogos) meant "fond of discussion or argument, talkative", in Hellenistic Greek, also implying an excessive ("sophistic") preference of argument over the love of true wisdom, φιλόσοφος (philósophos). As an allegory of literary erudition, philologia appears in fifth-century postclassical literature (Martianus Capella, De nuptiis Philologiae et Mercurii), an idea revived in Late Medieval literature (Chaucer, Lydgate). The meaning of "love of learning and literature" was narrowed to "the study of the historical development of languages" (historical linguistics) in 19th-century usage of the term. Due to the rapid progress made in understanding sound laws and language change, the "golden age of philology" lasted throughout the 19th century, or "from Giacomo Leopardi and Friedrich Schlegel to Nietzsche". In the Anglo-Saxon world, the term philology to describe work on languages and literatures, which had become synonymous with the practices of German scholars, was abandoned as a consequence of anti-German feeling following World War I. Most continental European countries still maintain the term to designate departments, colleges, position titles, and journals. J. R. R. Tolkien opposed the nationalist reaction against philological practices, claiming that "the philological instinct" was "universal as is the use of language". In British English usage, and in British academia, "philology" remains largely synonymous with "historical linguistics", while in US English, and US academia, the wider meaning of "study of a language's grammar, history and literary tradition" remains more widespread. Based on the harsh critique of Friedrich Nietzsche, US scholars since the 1980s have viewed philology as responsible for a narrowly scientistic study of language and literature. The comparative linguistics branch of philology studies the relationship between languages. Similarities between Sanskrit and European languages were first noted in the early 16th century and led to speculation of a common ancestor language from which all these descended. It is now named Proto-Indo-European. Philology's interest in ancient languages led to the study of what were, in the 18th century, "exotic" languages, for the light they could cast on problems in understanding and deciphering the origins of older texts. 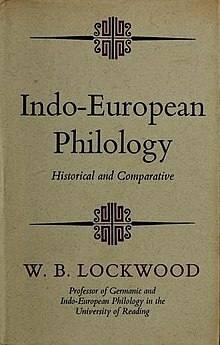 Philology also includes the study of texts and their history. It includes elements of textual criticism, trying to reconstruct an author's original text based on variant copies of manuscripts. This branch of research arose among Ancient scholars in the 4th century BC Greek-speaking world, who desired to establish a standard text of popular authors for the purposes of both sound interpretation and secure transmission. Since that time, the original principles of textual criticism have been improved and applied to other widely distributed texts such as the Bible. Scholars have tried to reconstruct the original readings of the Bible from the manuscript variants. This method was applied to Classical Studies and to medieval texts as a way to reconstruct the author's original work. The method produced so-called "critical editions", which provided a reconstructed text accompanied by a "critical apparatus", i.e., footnotes that listed the various manuscript variants available, enabling scholars to gain insight into the entire manuscript tradition and argue about the variants. A related study method known as higher criticism studies the authorship, date, and provenance of text to place such text in historical context. As these philological issues are often inseparable from issues of interpretation, there is no clear-cut boundary between philology and hermeneutics. When text has a significant political or religious influence (such as the reconstruction of Biblical texts), scholars have difficulty reaching objective conclusions. Some scholars avoid all critical methods of textual philology, especially in historical linguistics, where it is important to study the actual recorded materials. The movement known as New Philology has rejected textual criticism because it injects editorial interpretations into the text and destroys the integrity of the individual manuscript, hence damaging the reliability of the data. Supporters of New Philology insist on a strict "diplomatic" approach: a faithful rendering of the text exactly as found in the manuscript, without emendations. Another branch of philology, cognitive philology, studies written and oral texts. Cognitive philology considers these oral texts as the results of human mental processes. This science compares the results of textual science with the results of experimental research of both psychology and artificial intelligence production systems. In the case of Bronze Age literature, philology includes the prior decipherment of the language under study. This has notably been the case with the Egyptian, Sumerian, Assyrian, Hittite, Ugaritic and Luwian languages. Beginning with the famous decipherment and translation of the Rosetta Stone by Jean-François Champollion in 1822, a number of individuals attempted to decipher the writing systems of the Ancient Near East and Aegean. In the case of Old Persian and Mycenaean Greek, decipherment yielded older records of languages already known from slightly more recent traditions (Middle Persian and Alphabetic Greek). Work on the ancient languages of the Near East progressed rapidly. In the mid-19th century, Henry Rawlinson and others deciphered the Behistun Inscription, which records the same text in Old Persian, Elamite, and Akkadian, using a variation of cuneiform for each language. The elucidation of cuneiform led to the decipherment of Sumerian. Hittite was deciphered in 1915 by Bedřich Hrozný. Linear B, a script used in the ancient Aegean, was deciphered in 1952 by Michael Ventris and John Chadwick, who demonstrated that it recorded an early form of Greek, now known as Mycenaean Greek. Linear A, the writing system that records the still-unknown language of the Minoans, resists deciphering, despite many attempts. Work continues on scripts such as the Maya, with great progress since the initial breakthroughs of the phonetic approach championed by Yuri Knorozov and others in the 1950s. Since the late 20th century, the Maya code has been almost completely deciphered, and the Mayan languages are among the most documented and studied in Mesoamerica. The code is described as a logosyllabic style of writing, which could be used to fully express any spoken thought. In the Space Trilogy by C.S. Lewis, the main character, Elwin Ransom, is a philologist - as was Lewis' close friend J. R. R. Tolkien. Dr. Edward Morbius, one of the main characters in the science-fiction film Forbidden Planet, is a philologist. Moritz-Maria von Igelfeld, the main character in Alexander McCall Smith's 1997 comic novel Portuguese Irregular Verbs is a philologist, educated at Cambridge. The main character in the Academy Award Nominee for Best Foreign Language film in 2012, Footnote, is a Hebrew philologist, and a significant part of the film deals with his work. ^ Peile, John (1880). Philology. Macmillan and Co. Retrieved 2011-07-16. ^ Hall, F. W. (1968). A Companion to Classical Texts. Oxford, England: Clarendon Press. pp. 22–52. ^ Liddell, Henry George; Scott, Robert. "φιλολογία". A Greek-English Lexicon. Perseus.tufts.edu. Retrieved 2017-05-23. ^ "Nikolaus Wegmann, Princeton University Department of German". Scholar.princeton.edu. Retrieved 2013-12-04. ^ Utz, Richard. "Them Philologists: Philological Practices and Their Discontents from Nietzsche to Cerquiglini." The Year's Work in Medievalism 26 (2011): 4–12. ^ Tolkien, J. R. R. (1923). "Philology: General Works". The Year's Work of English Studies. 4 (1): 36–37. doi:10.1093/ywes/IV.1.20. ^ Utz, Richard. "Englische Philologie vs. English Studies: A Foundational Conflict", in Das Potential europäischer Philologien: Geschichte, Leistung, Funktion, ed. Christoph König (Göttingen: Wallstein, 2009), pp. 34–44. ^ A. Morpurgo Davies, History of Linguistics (1998) 4 I. 22. ^ M. M. Bravmann, Studies in Semitic Philology. (1977) p. 457. ^ This is noted in Juan Mascaro's introduction to his translation of the Bhagavad Gita, in which he dates the first Gita translation to 1785 (by Charles Williams). Mascaro claims the linguist Alexander Hamilton stopped in Paris in 1802 after returning from India, and taught Sanskrit to the German critic Friedrich von Schlegel. Mascaro says this is the beginning of modern study of the roots of the Indo-European languages. ^ a b c d Greetham, D. C. (1994). Textual Scholarship: An Introduction. Garland Publishing. ISBN 9780815317913. Retrieved 2011-07-16. Wikimedia Commons has media related to Philology.